Roll the dice. Pick a card. 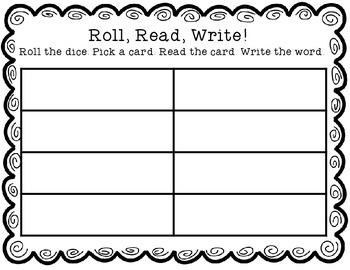 Read the card then use the chart to write the word on the handout. 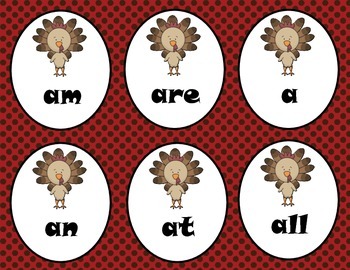 Words cover the most common words found in Kindergarten and First grade readers. 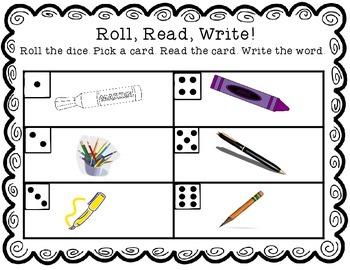 Teachers can pick and print the word cards they want to review. There are120 words total. 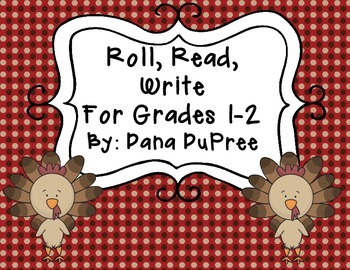 Teachers using IRLA reading assessment note: words are from list 1G and 2G.